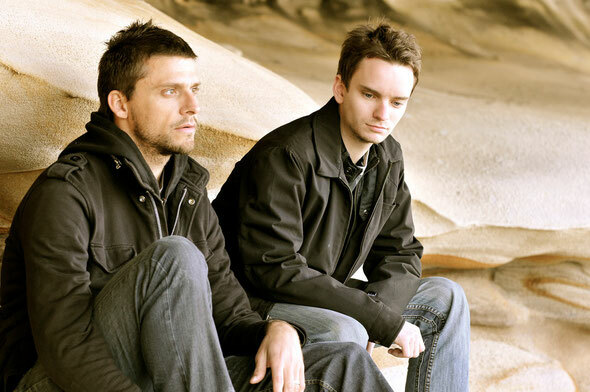 It's been a busy few months for Aussie-Czech duo Shades Of Gray. Since releasing their album ‘Soul Machine’ at the end of 2011 Michal and Nick haven't stopped, releasing a string of EPs for Lost My Dog, Chillin, Tronicsole, Reckless Republic and Moensterbox, remixing Miguel Migs, Pete Dafeet and Fil Lavin, collaborating with Lexy (Nicone) and having their own work remixed by Ian Pooley, Milton Jackson, Sasse and Norm De Plume. Michal (aka DJ Schwa) has also just collaborated with Alex Neivel for an EP on Large Music, which was duly charted by Ellen Alien. The Shades Of Gray European live tour was a huge success, the high-point being a packed out performance at Off-Sonar for the Lost My Dog and Your Only Friend party, which you an download below. With new releases due imminently on Croatia's Blacksoul Music (three-track EP), King Street Sounds offshoot Street King (remix of Doomwork) and Berlin's Tonkind (four- track EP with Uone). DJ Schwa will also be playing a string of gigs in Prague, Berlin and La.